Location-based services form a part of a software application, which with the help of location information from IP-capable devices, track the location of a particular device. The increasing implementation of location-based search with social networking sites is providing a fillip to the global location-based services market. The growing inclination of smartphone manufacturers and location-based services providers towards the development of applications that combine location-enabled search with social networking websites to allow users to post their updates on social media with exact location information is boosting the popularity of these services. From the geographical standpoint, developed regions are expected to be major revenue contributors throughout the forecast horizon. North America will command a substantial share in the global arena, thanks to the increasing adoption of advanced technologies such as geo-fencing and GPS. The rising usage of location-based services in multiple industries such as retail, healthcare, and defense is also contributing to the region. Moreover, the growing implementation of mobile media by enterprises is triggering the popularity of these services in the region. Asia Pacific, on the other hand, will be offering tremendous lucrative opportunities for the market during the same period. The rapidly growing population and rising consumer inclination are driving the adoption of location-based services in the region. Besides this, the proliferation of smartphones and emergence of countries such as India, China, Japan, and South Korea as technology hubs are also supplementing the growth of the region. The global market for location-based services has witnessed a significant upswing in demand for new and improved services and solutions from government bodies, and industries such as defense, BFSI, healthcare, transportation, e-commerce and media and entertainment. With the constantly and rapidly rising number of cellular phones and a host of other wireless mobile computing devices such as tablets and personal digital assistants in the world, the user base of location-based services is also rapidly rising. Location-based or location-aware applications are becoming a norm in most web-enabled mobile devices and location-based services have come under the realm of everyday use entities for the global population. The rising consumer awareness about location-based services is encouraging companies to think of the myriad of possibilities that can be realized in terms of reaching out to consumers in innovative ways. Government bodies are using location-based services as a critical tool in implementing better safety measures for peoples and places; the defense industry is using location-based services to be better aware of a situation that calls for action; and the e-commerce industry is using these services to be more secure and accurate in transactions. A myriad of other applications of location-based services are presently realized across several industries and many more are increasingly coming to the fore. In the next few years, this rising set of applications will allow the global location-based services market growth at a promising pace. 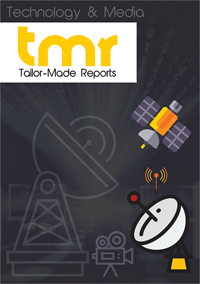 This report on the global location-based services market presents a detailed overview of the market’s present growth dynamics and future growth prospects over the period between 2017 and 2025. The report encompasses vast qualitative and quantitative details, analysis, and predictions about the market’s key segments, trends, growth drivers, and opportunities, challenges, and attractiveness of segments or regional markets. The report segments the global location-based services market on the basis of criteria such as component, technology, application, end-use industry, and geography. On the basis of technology, the report examines the market for location-based service technologies such as global positioning system (GPS), assisted GPS, Bluetooth, Wi-Fi, geofencing, and observed time difference. The key areas of application of location-based services analyzed in the report include mapping and navigation, emergency support, disaster management, and business analytics and intelligence. The key end-use industries utilizing location-based services include government, defense and aeronautics, retail, healthcare, agriculture, transportation, e-commerce, and media and entertainment. Some of the key application areas of location-based services are social media networking, e-commerce transactions, entertainment, mapping and navigation, analytics, business intelligence, emergency support, and disaster management. Presently, applications across the defense and government sector account for a leading share in the global market’s revenue, a trend that is expected to remain strong over the report’s forecast period. Nevertheless, with a massive consumer base, which continues to rise at a promising pace, the e-commerce industry is envisaged to emerge as one of the leading contributors to the global location-based services market in the near future. The market is also expected to benefit from rising demand across the food delivery and tourism industry. Some of the world’s leading technology companies are enriching the global location-based services market through their futuristic location-based services solutions for outdoor as well as indoor applications. In the next few years, the highly competitive market is expected to witness the proliferation of an increasing number of regional and domestic IT companies wanting to exploit the vast growth opportunities offered by this area. Some of the leading technology companies operating in the global location-based services market are Apple, Inc., International Business Machines Corporation, Ltd., Bharti Airtel, LTD., Cisco Systems, Inc., Oracle Corporation, SAP SE, Alcatel-Lucent SA, Google Inc., Microsoft Corporation, and AT&T Inc.